We have over 20 types of candy in our store at all times! ​milk, white or dark chocolate. caramel and covered in chocolate. We now have Annie's Almond Turtlez and Annie's Walnut Turtlez in store! 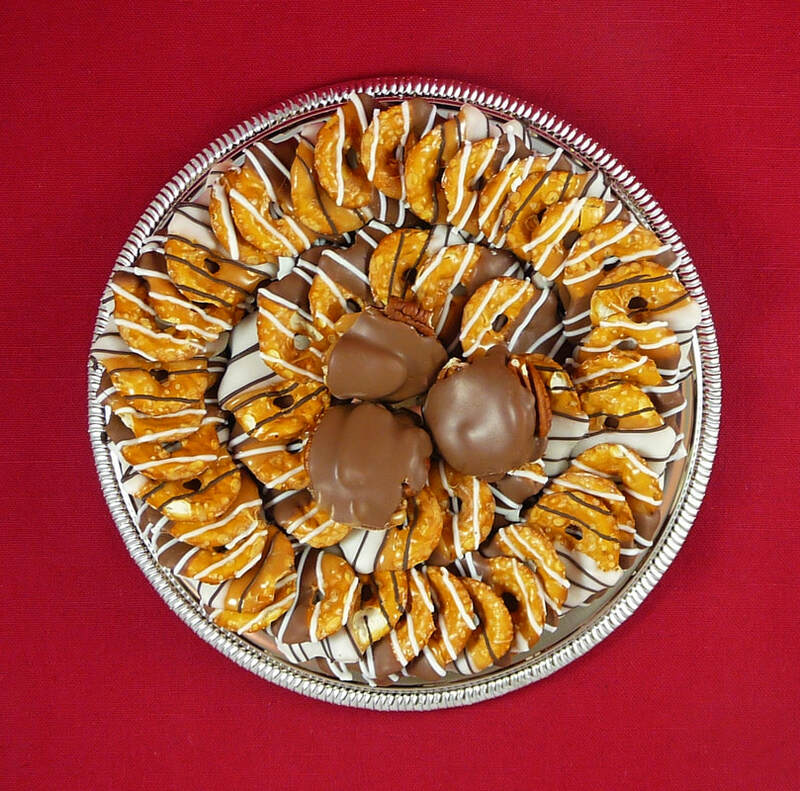 Pretzel Rods drenched in caramel, covered in pecans & drizzled with milk, white or dark chocolate. Pretzels, Peanut Butter, Caramel, Peanuts and Milk Chocolate. 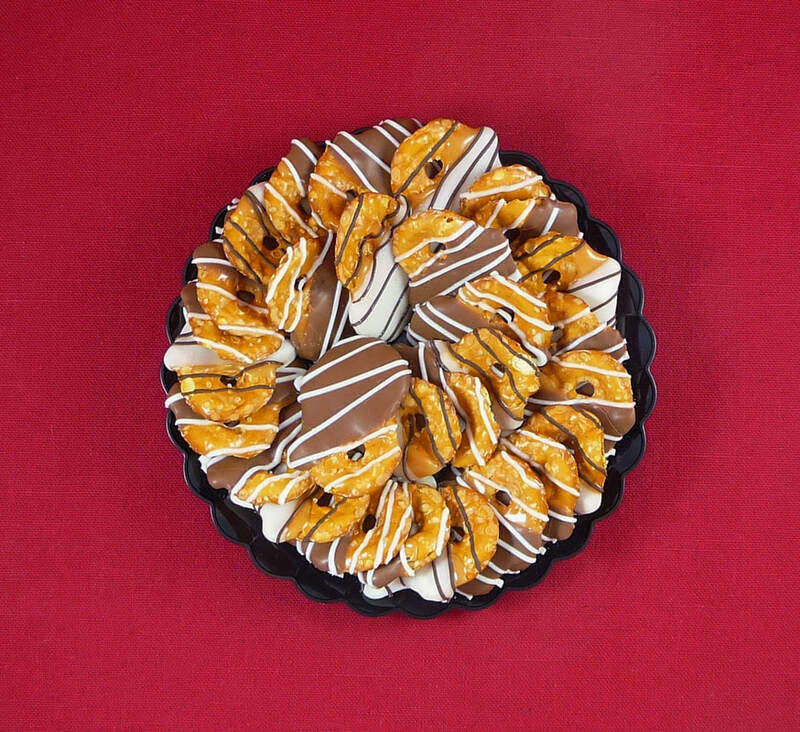 Peanut Butter Burst of Flavor When You Bite Into It! If you Like Peanut Butter, You'll Love These! 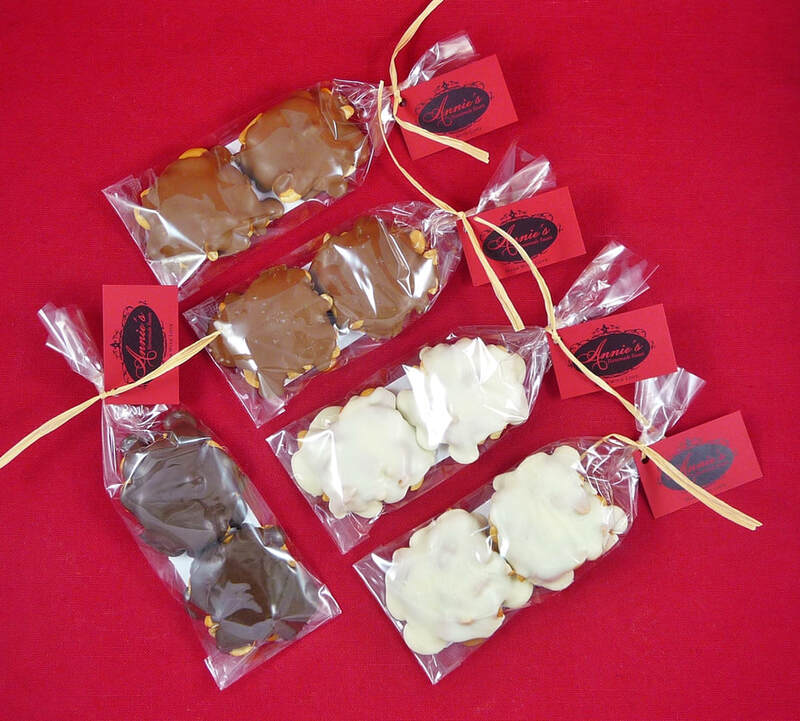 Milk, Dark or White Chocolate or try one of our Combo Bags! 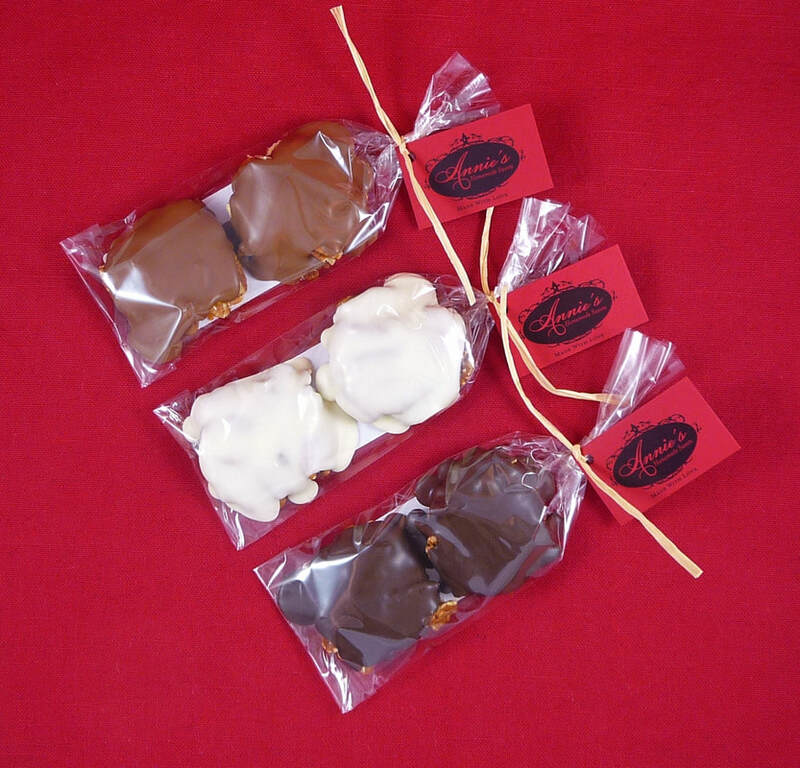 Pretzel Rods drenched in caramel & drizzled with 2 layers of milk, white or dark chocolate. Pretzel Rods covered with milk, white or dark chocolate. With or without non-pareils. and drizzled with chocolate. Your choice of milk, white or dark chocolate. Ritz Crackers dipped in Dark Peppermint Chocolate! ​Tastes just like that Famous Girl Scout Cookie! Graham Crackers covered in milk, white or dark chocolate and sprinkled with M&M's. Gobs of chewy caramel on a pretzel rod covered in chocolate.